On the second day of our Oxalis journey we explored Hang Va cave, which was considerably more difficult to navigate than Nuoc Nut. The cave required a number of waist-high frigid river crossings, claustrophobic rocky passages, and traversing with rope and harness. Hang Va is home to some of the rarest conical cave formations in the world. 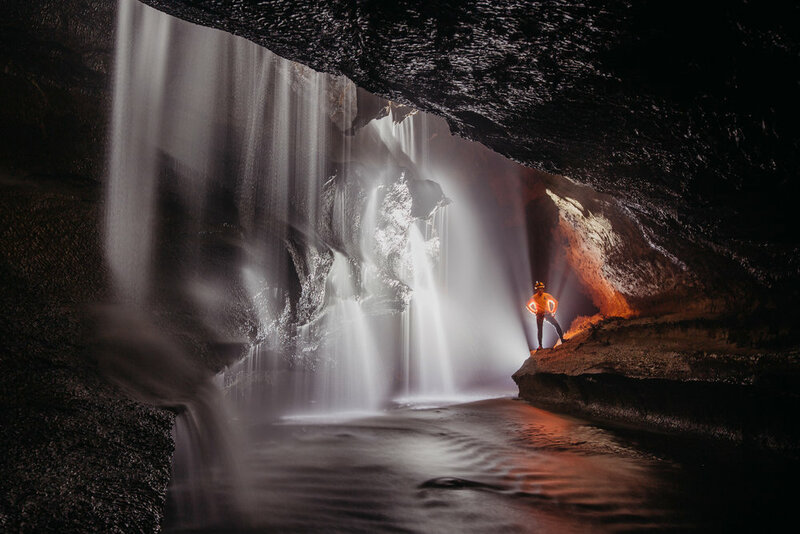 Pictured here is a breathtaking waterfall at the terminus of the cave. After 5-6 hours in Hang Va, we hiked through the thick jungle to make it back to the road. 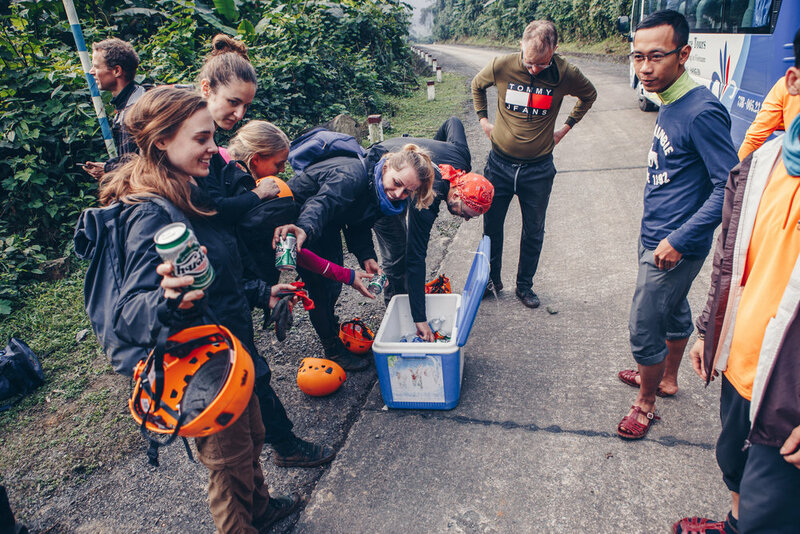 Smiles were in good supply when we were surprised with cold beers to celebrate a successful trek with an eclectic group of adventurers from all around the world.